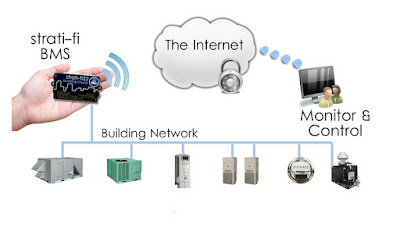 Connect your building to the cloud for $500* Connect - Monitor - Correct At Building Clouds we believe that building control systems should be affordable, easy to use, and most importantly they need to work. Our software and hardware solutions are designed for the Internet of Things (IoT). Our strati-fi wireless products are used worldwide to "Simply Connect". What if you could make your Smart Building more Sustainable? Your building is going to use energy, using that energy efficiently is great…using that efficient energy when it comes from the cleanest power source, now that’s SMART! Building Clouds has partnered with WattTime to bring their Environmental Demand Response vision to commercial buildings. Now you can choose where your power should come from, automatically. Reduce CO2 emissions by using energy when it is being produced by the greenest source available. WattTime, a nonprofit organization based in Berkeley, CA has developed groundbreaking software tools which determine how energy is being produced in real time. Their algorithm analyzes the cleanliness of power being generated throughout the United States, relates it to your location, and determines when your smart devices should use that power. This environmental intelligence can substantially reduce pollution without any change in equipment operations, or user comfort. Learn more about WattTime here. Download the case study from our first installation project with them here. Are You Responsible for the Operation of Buildings? Copyright, Building Clouds, LLC. Awesome Inc. theme. Powered by Blogger.